Whether your child’s position is forward on a soccer field or middle hitter on a volleyball court, we know that your position as the traveling “Biggest Fan” is an important one. In fact, we think you deserve to have a little fun on this sports trip, too! Luckily, KC | OP is chalk-full of memorable experiences that will keep you entertained before, during and after tournament games. Score! Rise and shine—it’s game day and your little MVP will need you at your best on the sidelines. Fuel up with the Yard Bird (hand-breaded fried chicken breast in between biscuits covered in gravy) or a Ranchero omelet at Big Biscuit in Overland Park. Do not, we repeat, DO NOT leave without sampling the signature Sticky Biscuit—served plain or loaded with raisins, cranberries, and candied pecans. Or, head to Doughnut Lounge in Kansas City if you’re feeling extra indulgent. We recommend a macchiato and the Maple Bacon Long John. Long tournament days can be tedious for your non-players. Keep them amused for hours with a stop at Deanna Rose Children’s Farmstead in Overland Park (pro tip: bring a dollar so you can bottle-feed the baby goats!). Or pass time hanging out in one of the 10 Build & Play Zones at Legoland Discovery Center in Kansas City. 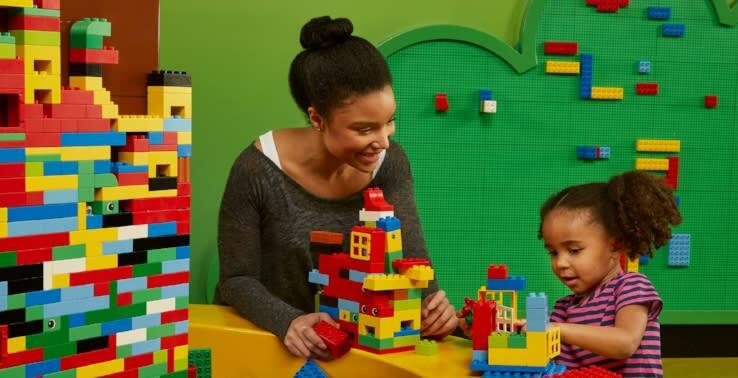 A true wonderland for LEGO fanatics, this indoor playground also features a 4D cinema and two LEGO rides. 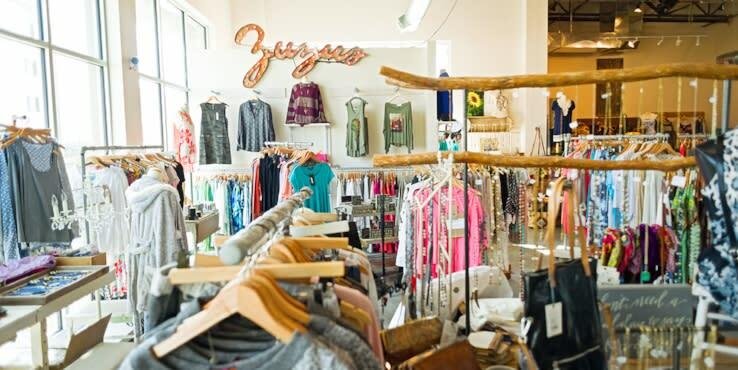 Turn halftime into a time-out for Mom and browse one-of-a-kind finds and chic boutique apparel at Threshing Bee in Overland Park’s vibrant Prairiefire district. Nordstrom Rack, also in Overland Park, is your go-to for budget-friendly fashionable finds. Or spend this precious “me time” perusing the hottest labels at Kansas City’s iconic Country Club Plaza. Whether you prefer Burberry or Barnes & Noble, Michael Kors or Madewell, a trip to this grand outdoor shopping district won’t disappoint. Once the clock hits double zero, celebrate your All Star’s effort with a fun KC | OP trip souvenir. Treat your lady-athlete at the American Girl Store in Overland Park which features the famous line of dolls, accessories to match and even a doll hair salon. Or take your whole team to Fat Brain Toys in Overland Park’s Prairiefire district. This boutique shop offers toys for all ages, most of them made in America and all designed to “expand the mind.” Right down the street is Scheels where your kiddo can pick out his or her favorite sports team’s jersey and then take a victory lap on the gigantic indoor Ferris wheel. Make a deal with Dad to keep watch over your tuckered out crew and rally fellow team Moms for a Ladies’ Night Out. If champagne on a terrace is your jam, you’ll love Ca Va in Kansas City’s Westport district. And just a short walk away is Port Fonda, a modern cantina serving up rustic Mexican food – did someone say “margarita”? Or #treatyoself at Louie’s Wine Dive in Overland Park, where the wine list is as long as that fourth quarter seemed earlier in the day. So, on this sports trip, Moms, leave it all out on the field! After all, you’re the real MVPs! Do you still need more to fill your time with the kids? Here are some kid-friendly activities in Overland Park to be sure to check out. BUT, if you have more time for yourself, you will want to see all of the shopping options in Overland Park.